Chemical Guys has combined the best-selling fan favorites and newest car wash products into the Best Wash And Dry Kit. 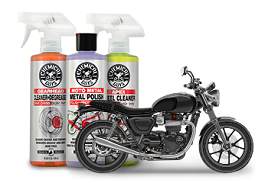 A perfect scratch-free shine starts with proper car wash and dry techniques and products, and the wash and dry kit contains everything you need for a weekly wash on any car, truck, motorcycle, or SUV. Traditional car wash methods install millions of tiny scratches all over vehicle paintwork. When viewed in direct sunlight, these scratches take on the appearance of “swirls” or “spiderwebs” all over the vehicle. Proper washing and drying with professional tools and products drastically reduces the chances of installing new swirls and scratches, and helps maintain a flawless show-car shine on any vehicle. 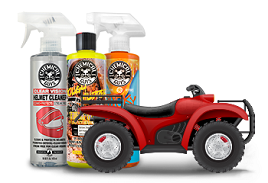 The Best Wash And Dry Kit combines everything needed for the perfect car wash every time. After Wash repels standing water from wet surfaces to reduce drying times. Simply spray After Wash over standing water and watch it bead up and roll off the surface! 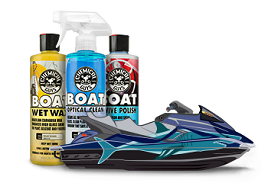 Buff away water and streaks for a perfect shine. Chemical Guys blended After Wash with slick lubricants to reduce friction while buffing and drying to further reduce the chances of scratching with towels or any spots of missed dirt.